Scotty Cameron reckons year on year he’s being asked more and more often for shorter length putters. So he and Titleist have decided to produce a range of 33” flatsticks (35” is standard for many manufacturers) which have been specifically weighted and balanced for a shorter length. Many golfers over the years have cut down a putter to a shorter length and found how they lose the beautiful feel and weighting which attracted them to the putter in the first place. So what Cameron’s done has cleverly taken the shorter length into consideration before producing each head, so from grip to shaft and head everything is perfectly balanced to perform at a 33” length. 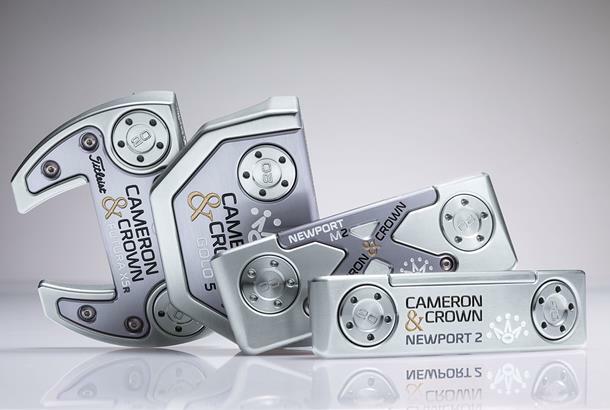 The new range extends to four head models, Select Newport 2, Select Newport M2 Mallet, GOLO 5 and a Futura X5R. Each head features multi-materials with a 303 stainless steel body being teamed with 6061 aircraft grade aluminium faces and sole inlays to provide a perfect mix of feel and forgiveness.